One of our parents has kindly organised for Hofner to donate three guitars for the school. These arrived this week and were unpacked by Joe, our music teacher, and some of our children. 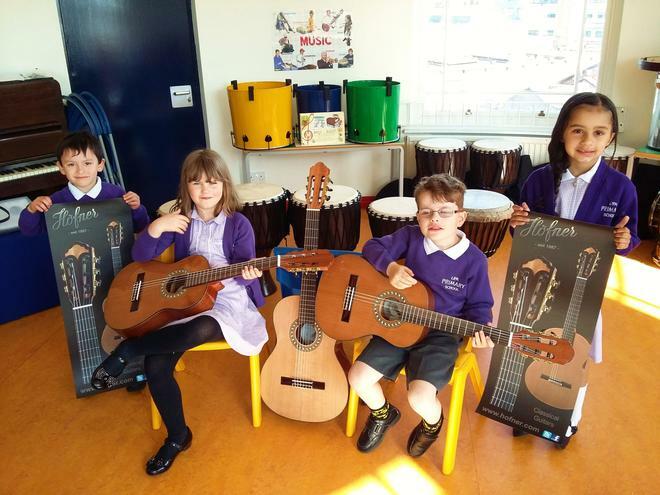 We will be keeping the two child-sized guitars and hopefully using the adult-sized guitar as a fundraiser for our outdoor environment projects.